Many Westporters were saddened to learn of the death of Alan Sterling — Westport’s hard-working native oysterman. Bruce McFadden went to his photography collection. “I spoke with him several times at the E.R. Strait Marina, where he kept his boat,” McFadden says. 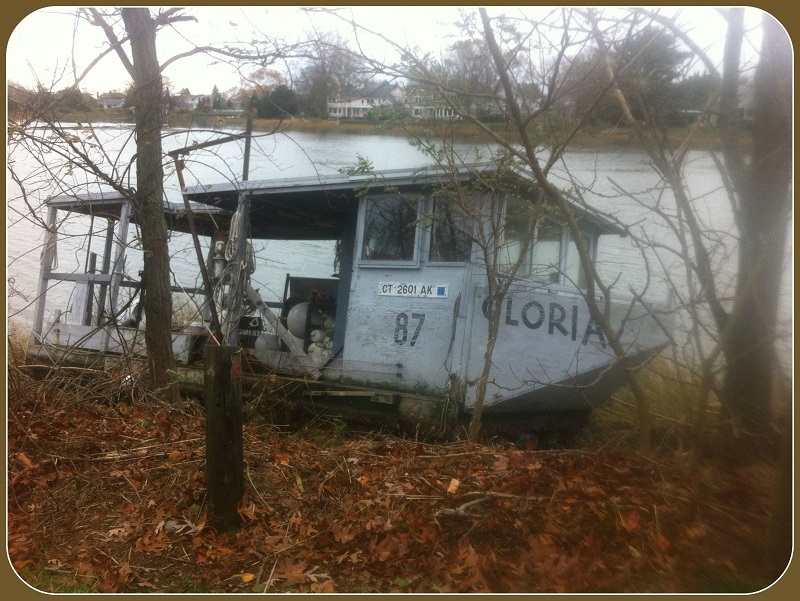 Bruce gave Alan a photo of his beloved “Gloria” — one of the last surviving commercial boats in Westport. Alan built it himself. They sure don’t make ’em like that — like Alan, or “Gloria” — anymore. Meanwhile, here’s another photo, sent later today by JP Vellotti. It shows Gloria the day after Hurricane Sandy. Soon enough, Alan had her shipshape, and back on the water. This entry was posted in Arts, Beach, People and tagged Alan Sterling, Bruce McFadden. Bookmark the permalink. Thank you for posting this, Dan. 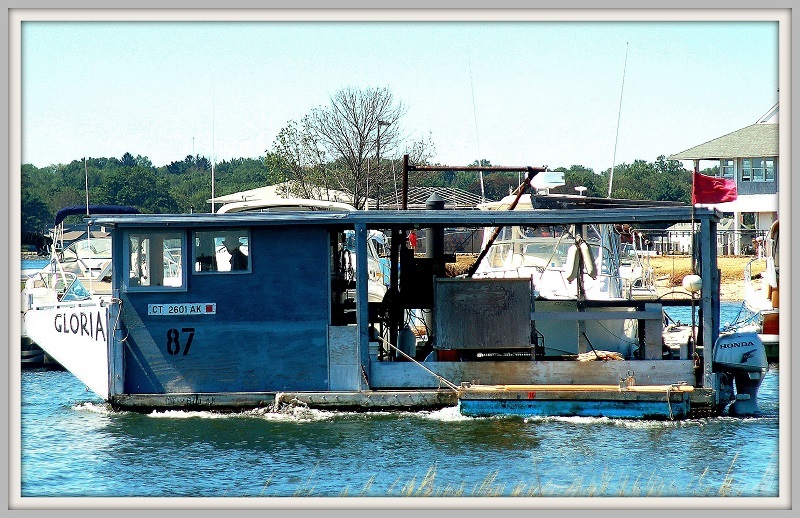 Our family has been wondering about this boat all winter – it has piqued our interest and sparked conversation amongst us every time we have driven past. We have been calling it Gloria the Boat, because it reminded us of our former neighbor whose name was Gloria. Gloria the Neighbor was grey, strong, and persistent just like Gloria the Boat and we have been somewhat fascinated by the random familiarity and coincidence of this particular named presence in our lives. I love knowing the real and beautiful story of this boat and of the man connected to it, and how it so vastly differs from what we had imagined it to be. Thank you for yet another soulful piece of Westport’s complex and interesting life.